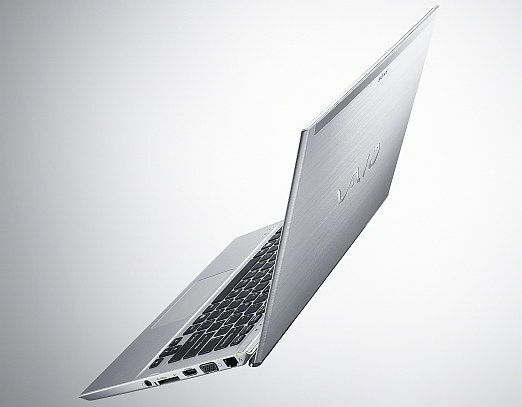 Sony India today announced the launch of two new laptops in India, the Sony Vaio E14A, and the Sony Vaio T ultrabook. 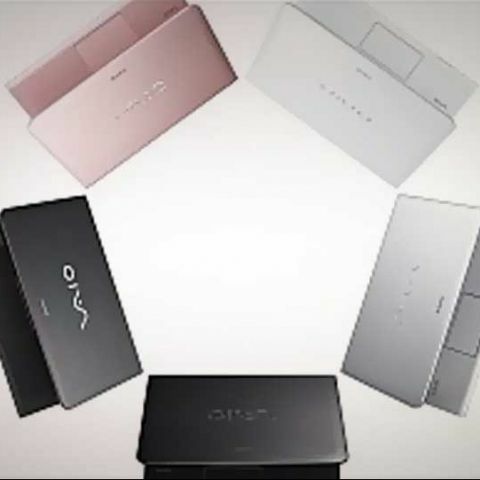 It will be launching other models in the Sony Vaio E, S & Z series in the near future as well, and apparently intends to sell 6.5 lakh Vaio units by FYE 2012. The company will reportedly allocate Rs. 90 crore towards Vaio marketing this financial year, and will offer free on-site service for al Vaio models, starting this July. The entire Sony Vaio product line-up introduced will be available across Sony Centers, Vaio flagship stores and major electronic & IT stores. The Sony Vaio E14A series (seen below) supposedly comes with a stylish new ‘wrap design’ with colour accent around the laptop’s edge, touchpad and keyboard. It will come with a ‘personalization kit’ comprising of matching colour keyboard skin and mouse. This laptop is available at a price range of Rs. 55,990 to Rs. 65,990. The Sony Vaio T (seen further below) is the company’s first Ultrabook, and features Ethernet, VGA, USB 3.0, USB 2.0 and HDMI ports. It will be available in 11.6 and 13.3 inch screen sizes, starting from Rs. 45,990 only. Also announced along with these two laptops, were the Sony Vaio Z, S and E. The Sony Vaio Z apparently offers a best-in-class full HD display, 5.5 hours of battery life and ultra lightweight of just over 1kg, becoming the “ultimate fusion of mobility and performance.” The new Vaio Z Series will be available with the new refreshed design featuring Vaio’s 15th Anniversary engraving, and feature a price tag of Rs. 1,79,900. 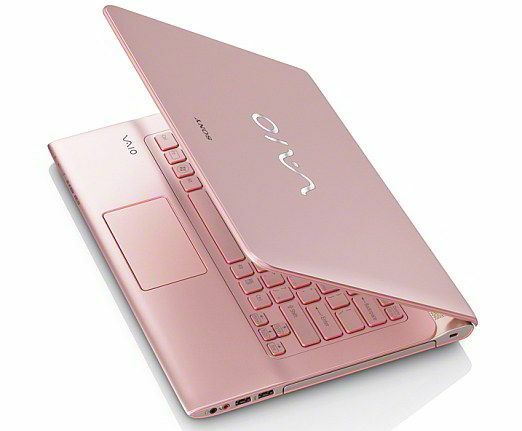 The Sony Vaio S features a unique Hexashell design, and is supposed to be a “perfectly balanced mobile PC.” Sony has not provided prices, but further adds the Vaio S will feature long battery life and a lightweight frame, making it ideal for business travelers. It will also have the option of a full flat extended body and port replicator option. The new Sony Vaio E series will sport the unique ‘wrap’ design mentioned with the Vaio E14A, bearing a starting price of Rs. 27,990. It is meant for students and young professionals, who can choose from three screen sizes and three colours.